Today’s photos are from the Artistic Artifacts Paper Doll in a Shoe Workshop. 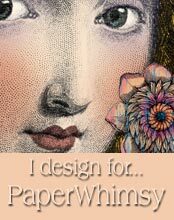 The images we used are from Dover Publications and Paperwhimsy. The papers and mixed media elements are shared from my studio. Every now and then a class feels magical. This was one of those times. Paperwhimsy’s images always bring the magic to the day. Talented, friendly, funny (Hi Sailor) artists add to the charm. Feeling like kids playing is ridiculous fun. Categories: Blog | Tags: artistic artifact, class, Mixed Media, mixed media class, paper dolls, paperwhimsy, theresa martin workshop | Permalink. This looks like an absolutely enchanting way to spend the day! Come to CT and give a workshop!!!! Tristan, as long as she RETURNS from CT… because we can’t give her up! Yes, spending the day with Theresa and her stash is guaranteed to put a smile on your face. So happy you shared this Theresa! How much fun it must have been for these ladies ! I love making dollies, but to be together with others loving the same – wow! Something to hope to do someday! ps…everyone’s dolls an shoes are just marvelous! And Paper Whimsy faces, well, just gorgeous! This class was magical, as all of Theresa’s classes are! She is an inspiring and generous teacher. It was a wonderful day of creating!